In the southeast corner of Ventura County lies the city of Simi Valley California. Simi Valley is largely a bedroom community for the larger cities in Ventura County and the LA area. Simi Valley has the distinction of being one the safest cities in America to live. Simi Valley also enjoys a higher than average median income for California, making it an ideal place to call home. Simi Valley is also known for it's warm, dry climate, where temperatues average in the 70's, making it an ideal climate. People have lived in this area for thousands of years. The Cumash people are said to have been the first inhabitants. The population of these people increased significantly about 3000 years ago due to advances in hunting and fishing techniques. Three Cumash settlements still were in existance during the late 18th and early 19th century. The first Europeans to visit the area were part of the Spanish Potola Expedition in 1769. The Simi Valley gets it's name from Rancho Simi, also known as Rancho San José de Nuestra Senora de Altagracia y Simi. For a while the city was known as Simioplis, though it was shortened back to Simi by 1910. The city was incorparted in 1969 as Simi Valley. Simi Valley is also known for being the site of such TV shows as Gunsmoke and M*A*S*H.
Simi Valley also benefits from many shopping options. Simi Valley Town Center is an upscale mall that opened in 2005, featuring Macy's. Shopper in Simi Valley can also go to the Valley View Plaza, Knolls Plaza Market, JC Creations, and TAPO Canyon Plaza. Dining is also filled with choices in Simi Valley. Some of the best places to eat include Ali Baba Cafe, Chi Chi's Pizza, The Hat, Betos & Eggs & Things. Larsen's Grill is a classic steakhouse with a romantic atmosphere. It features live piano and candlelight ambiance. The Greek House Cafe is the place to go for the Greek basics, such as Pitas, kebabs and salads, Just remember to bring cash. For those Simi Valley dwellers needing Italian cuisine, look no further than Viva La Pasta, best known for their Sunday brunch. Rancho Simi Recreation and Park District operates a total of 50 parks combining urban and public parks, along with trail systems. There are also 6 golf courses. Kanan Ranch also has nature trails for hikers, bikes, and horses. Rocky Peak has trails for mountain biking, hiking, and equestrian activities. Trails to the South of Simi Valley can be accessed at the intersection of Wood Ranch Parkway and Long Canyon Parkway. Public Parks in Simi Valley include Arroyo Park, Corriganville Park, Mount McCoy, Rocky Peak Park, Simi Park, and Tierra Rejada Park, to name just a few. 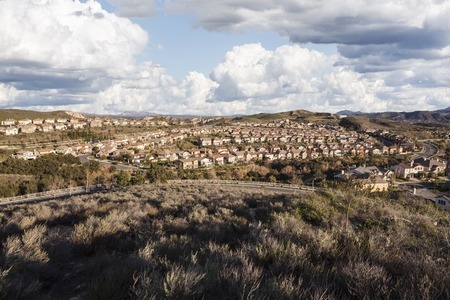 Simi Valley has an estimated population of 126,788. 95% of the population live in households. The median household income is $88,406 and family income is $91,658. The figures make Simi Valley a very stable place to live. There are two main industries in Simi Valley - machinery and metal. Other industries such as lumber, food, plastic, and apparel are also concentrated in the industrial areas. The top employer is the Simi Valley Unified School Districts, with 2177 employees. This school district features Santa Susana High School, which has been named as a silver medal winner in US News & World Report's Top 500 Schools in America. Simi Valley High School was also ranked among MSNBC's Top 1000 High Schools in the country. Simi Valley Hospital is one of the main hospitals in Simi Valley. It is a Seventh-Day Adventist facility and part of Adventist Health.